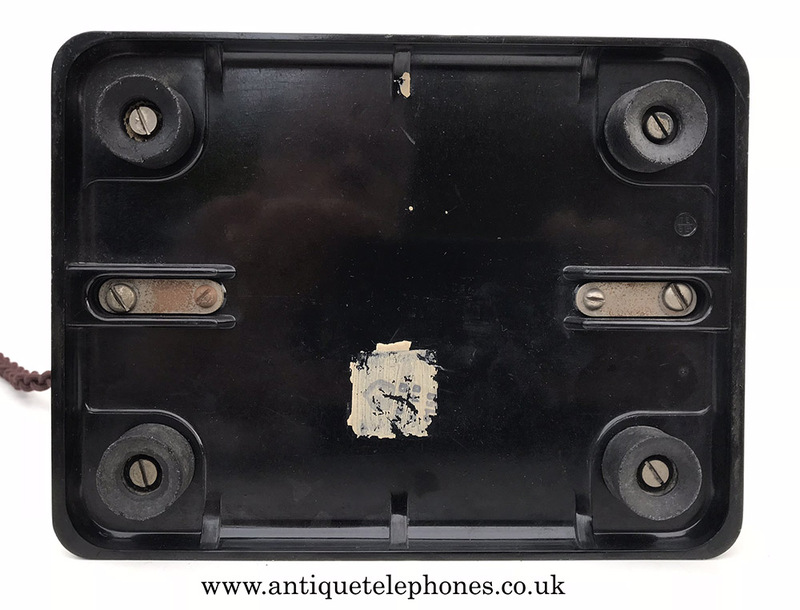 Discounted with black plastic GPO No21A dial. GPO No12 all metal alpha numeric dial can be purchased on checkout. GPO No12 all metal dial can be purchased in checkout. 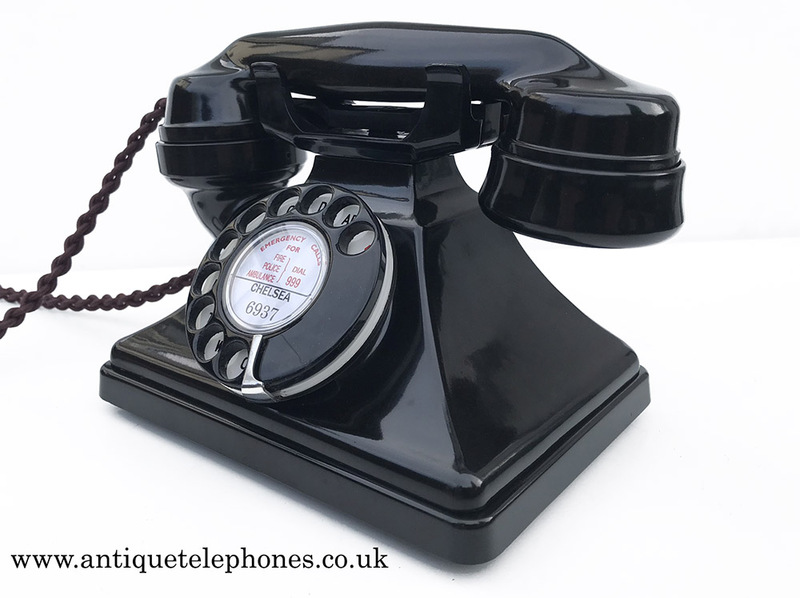 This is a lovely genuine GPO 232 black Bakelite plain base model. As you can see it is a very elegant telephone. 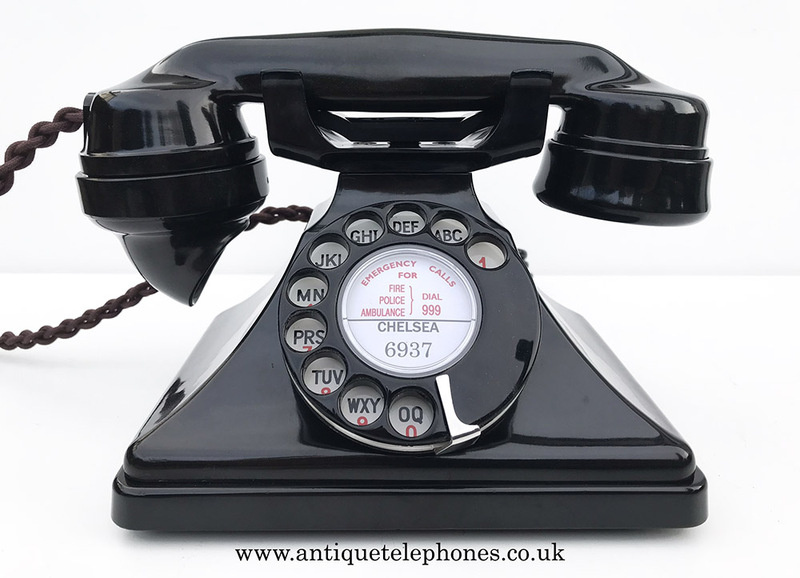 The handset is dated 1945 and has been totally stripped down and rebuilt after each part has been cleaned and polished. 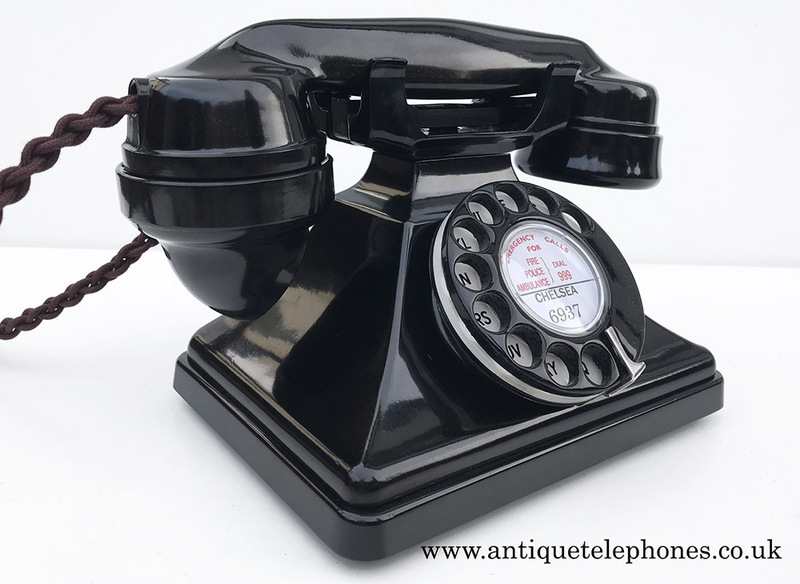 It has an original GPO black 21a dial (1960s) and has been fitted with a very best quality hand plaited braided handset cord and a quality "D" shaped plastic line in cord with a UK telephone plug socket and made with my own fair hands. I have fitted new GPO specification rubber feet. I have retained the lead weight in the base giving a very solid feel when dialling. I has been fitted with an electronic microphone and a 1950s receiver for perfect modern speech quality. It has been fitted with a pulse to tone unit and a small internal mechanical bell. This replaces the GPO No24 - No27 coil and produces perfect modern speech quality. This will allow it to be used on most VOIP networks and any telephone network. I can fit a dial label with your information at no extra charge.